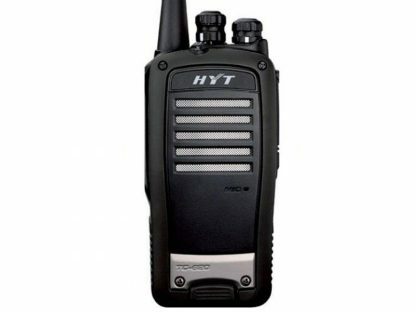 Hytera TC-620 is an analogue two radio from Hytera. Built to IP57 standards the TC-620 has a limited Ingres protection against dust, whilst also being safeguarded against submersion in water up to 1 meter for 30 minutes. MIL-STD-810 C/D/E/F/G ensures the radios reliability in harsh working conditions, tested in a variety of environments from -30°C to 60°C. The TC-620 comes as standard with a 1200mAh Li-Ion battery, this will allow for up to 9 hours of usage time from the operator. VOX Voice Activation is a possibility with the TC-620, allowing for the hands-free use of the radio should it be needed within the working environment. A time out feature is present to ensure that the radio is not over-used past its duty cycle of 30-seconds of transmission, whilst a low battery alert will sound when the battery is ready to be recharged. The TC-620 makes use of two signalling types CTCSS and DCS, with channel scanning also being a present feature on the radio. 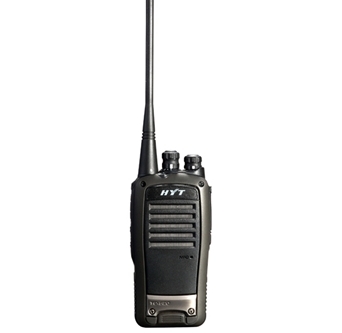 Standing at 117mm high, 54mm wide and 31mm in depth the TC620 is a relatively compact radio. Included in the box is the radio body, battery and an antenna, a charger can be purchased as an optional extra.